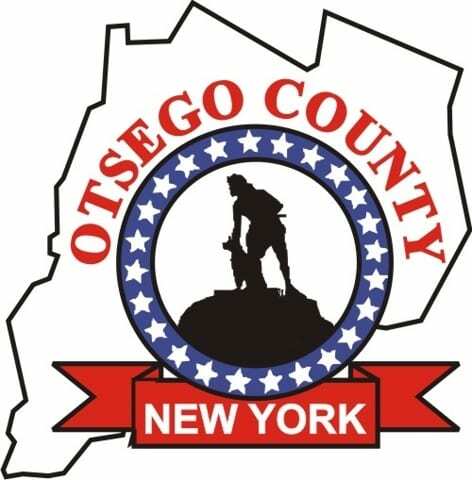 As of 5 p.m. Wednesday, Jan. 9, AllOTSEGO.com becomes Otsego County’s Daily Newspaper/ONLINE, with world and national news, crosswords and more. Since implementing a new strategy Oct. 1 – when news happens, we post it – traffic, annualized, has grown 50 percent – 50 percent! That’s 592,716 users, 1,867,988 sessions, and 2,957,100 page views – in a county of 60,094 people and 23,627 households. So beginning today, we are relaunching www.AllOTSEGO.com as: Otsego County’s Daily Newspaper/ONLINE, with the goal of giving readers everything you expect in a local newspaper, up to the minute and at your fingertips. Effective at 5 p.m. Wednesday, Jan. 9, you can access all the breaking local news you now find on www.AllOTSEGO.com, plus world and national news, and such features as a daily crossword, comics (including color comics on Sundays), horoscope and Dear Abby. Plus, for the first time, you will find all the material that appears weekly in Hometown Oneonta & The Freeman’s Journal – hard news, features, editorials, columns, letters to the editor, obituaries, great photographs. The works. To enable this, and to keep adding features, enhancing content – mostly, expanding service – we are offering readers a chance to participate in the future of local journalism: In Otsego County, certainly, but we also hope to establish a model that can be duplicated nationwide. For the next two weeks, Otsego County’s Daily Newspaper/ONLINE will be available to you at no cost. 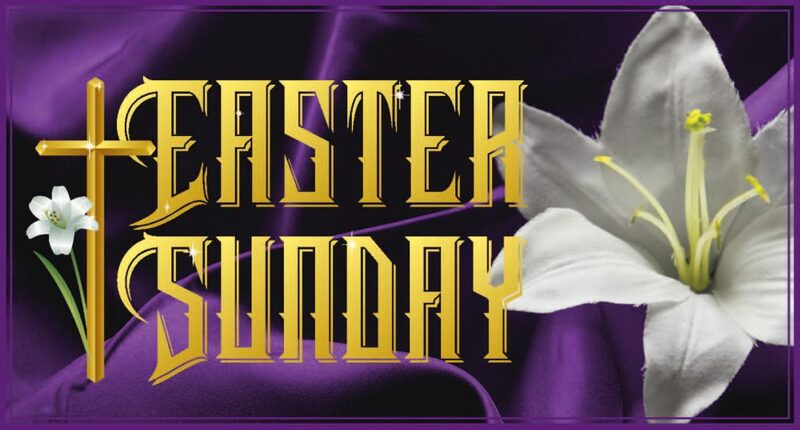 Then, for 99 cents a week – $12.87 billed quarterly via credit or debit cards – you will continue to have complete access to everything. In anticipation of your support, two additional reporters have joined our staff: Jennifer Hill in Oneonta and Patrick Wager in Cooperstown. Jennifer, who moved to Oneonta last July when her husband, Matt Murphy, accepted a faculty position at SUNY Oneonta, had written on a wide range of issues for online and independent publications in Shrevesport, La., where she had lived for six years. She has two master’s, in Russian Studies from Georgetown, and in Public Administration from Penn. The couple has a daughter, Alexandra, a sophomore at Oneonta High School. Patrick is a Cooperstown native and well-known in the community. A CCS grad, he also has two master’s, from St. John’s College’s “Great Books” program and in teaching from the College of St. Rose. Before and since moving back home from Washington, D.C., six years ago, he has held a range of positions, including as a web producer for WUTR-TV in Utica. And he’s been a substitute teacher in several districts. He and wife Nancy Tarr have two children, Henry and Naomi. Putting final touches on Otsego County’s Daily Newspaper/ONLINE are, from left, Graphic Artist Kathleen Peters, Managing Editor Libby Cudmore and General Manager & Ad Director Tara Barnwell. Everyone at our newspapers pulled together to help make this happen, but special credit should go to Ivan Potocnik, the Father of AllOTSEGO.com as we know it, birthed in 2015-16 while he did double-duty as office manager. He’s now lead programmer analyst at SUNY Polytechnic in Utica, but took on the essential technical end of this under-taking in his spare time. Thanks, Ivan! Yes, we see a business opportunity in this venture. Yes, we see a chance to provide even more community service. But there’s more. You’ve seen the reports. Many parts of our United States are becoming “news deserts,” served by no local news outlets at all. Those of us here at The Freeman’s Journal, Hometown Oneonta and www.AllOTSEGO.com pledge to you today: That’s not going to happen here. 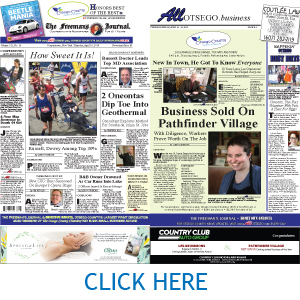 Go to www.AllOTSEGO.com now and follow the link to subscribe to Otsego County’s Daily Newspaper/ONLINE, and keep local journalism thriving into the future.